Widget's Farm: Winner of the 2016 "Most Dog Friendly Place to Stay"! 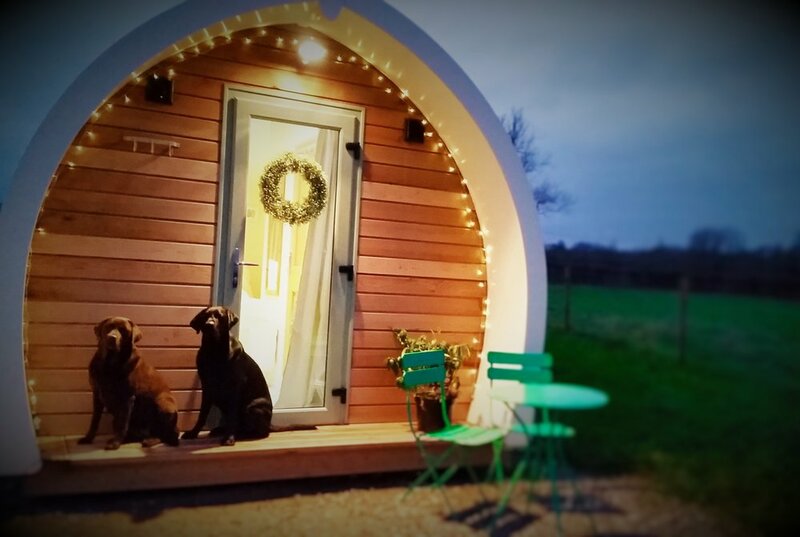 Our luxurious, en-suite pod is nestled within a secluded meadow and located between historic Bath and the interesting market town of Frome. Guests won't be short of things to do in the area and can spend the evenings enjoying the panoramic views and peaceful location. thanks to everyone for voting for us - we won the 2016 "most dog friendly place to stay"! 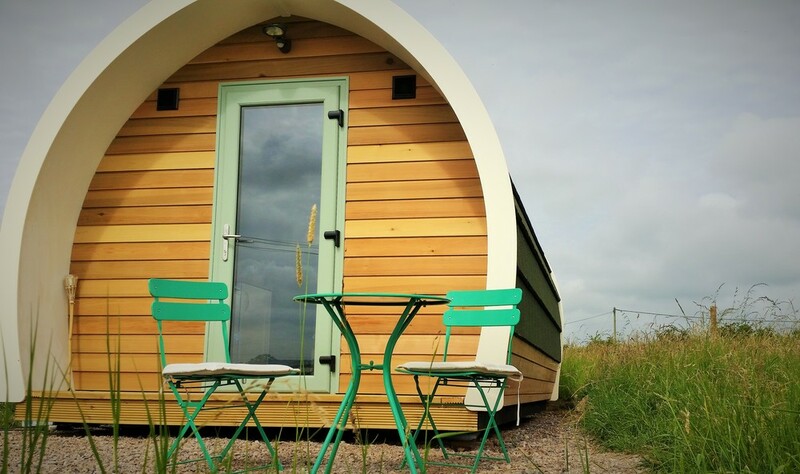 The pod sleeps two humans and truly is luxury camping with an ensuite shower room and small fitted kitchen. The kitchenette has a fridge, microwave combi oven and kettle and a supply of tea and coffee for your stay. There is also a TV-DVD player and a selection of DVDs for you to enjoy. Outside there is a table and chairs and use of a BBQ on request. The pod is also only five minutes walk to the Bell Pub at Standerwick which does great meals and is dog friendly. Just a mile away is the White Row Farm Shop with everything you could need and an award winning fish and chip shop. Truly Dog Friendly Holiday Accommodation! Widget's Farm loves dogs and welcomes them at no extra charge to you. The pod is also designed with them in mind with a securely fenced garden and lots of space to run about. You are also in your own meadow so if your dogs need seclusion, Widget's Farm is perfect. We've even had five huskies stay in the pod with their humans! Dogs are welcome on the bed but we ask they are dry and clean before being invited up. We also suggest you bring a doggy throw with you. All poop should be picked up both in the garden and the fields. Dogs are requested to be up to date with core vaccinations and parasite control before coming to Widget's Farm. This means simply core vaccines within the last three years or evidence of positive titre test results. Dogs should be on lead when they first arrive at Widget's Farm so we can explain where they can be offlead safely. Dogs should generally never be left alone in the cabin. The exception is a crate-trained dog which, if truly relaxed, may be left crated for up to 2 hours in a day in the cabin. We have a fixed Monday and a Friday changeover which means that all holidays at Widget's Cabin start and finish on either a Friday or a Monday. Therefore holidays can be booked for Monday to Friday (4 nights), Friday to Monday (3 nights), Monday to Monday (7 nights) and Friday to Friday (7 nights). We do not alter prices in relation to school term times but certain holidays, such as bank holidays, Christmas and New Year, will have a higher rate. Changeover days may be flexible for holidays booked within two weeks of their start date. On the day of arrival or departure, the pod is available for check-in from 4pm and check-out is 10am. 2019 prices start from: Monday to Friday (4 nights) at £290; Friday to Monday (3 nights) at £260, and weekly (7 nights) at £490. 1st January, New Year's Day; 2nd January New Year Holiday; 19th April Good Friday; 22nd April Easter Monday; 6th May “May Day”; 27th May Late May Bank Holiday; 26 August “August Bank Holiday”; 25th December Christmas Day; 26th December Boxing Day. We love it when guests return! If you have been before, please remind us when you book your next holiday and we will give you 10% off the price. There are three ways to book our luxury cabin: Direct through ourselves (cheapest route as no booking fees); through Airbnb (click here), or through TripAdvisor (click here). To book direct with Widget's Farm, either give us a call (07900 403126) or send us an enquiry form below. When we have responded to your questions, please email us a quick acknowledgement so we know you have received it and it hasn't gone into your junk mail folder. If you are booking directly with us, to secure your preferred dates, we simply require a non-refundable £50 deposit for short breaks and £100 deposit for weekly holidays. The balance of payment is then due no later than one calendar month before the holiday starts. Thank you! We'll aim to respond within one working day. If your enquiry is urgent, please call 07900 403126. 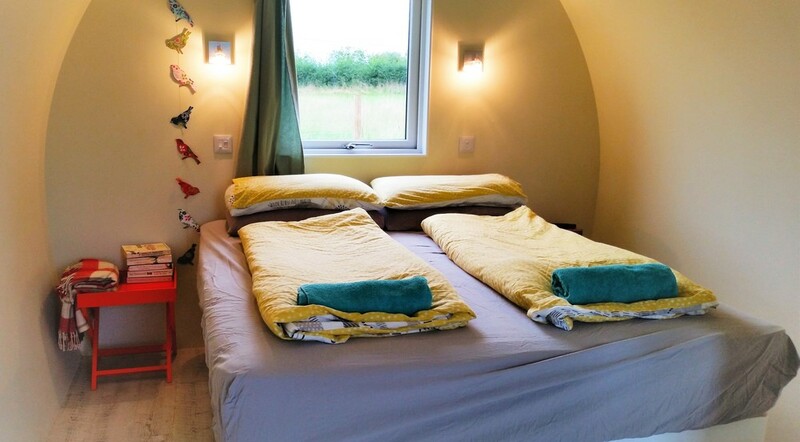 Widget's Farm in Standerwick is nestled in stunning countryside on the Somerset / Wiltshire border and just north of the market town of Frome and south of the City of Bath. You can zoom in on the map below for more detail or use our postcode to get directions from your home -click here. Our nearest train station is at Westbury, 10 minute drive, which is serviced by frequent trains to Bath, London, Southampton and more. Although most people will appreciate a car for sightseeing, we do get many avid cyclists who come by train and then use the pod as a base. Click here for directions from your home.